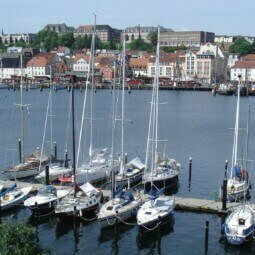 The Marina Werftkontor is located at the Ballastki of the eastern shore of Flensburg, directly at the waterside promenade of the Werftkontor, below the Flensburger Volkspark. After a 10 minutes’ walk, you reach the beautiful historic city with its ancient trade yards, museums, churches and shops. Explore beautiful old bourgeois houses and villas while strolling through town as well as take a step off from the main streets to discover little cosy cafes, numerous courtyards and rum producers. 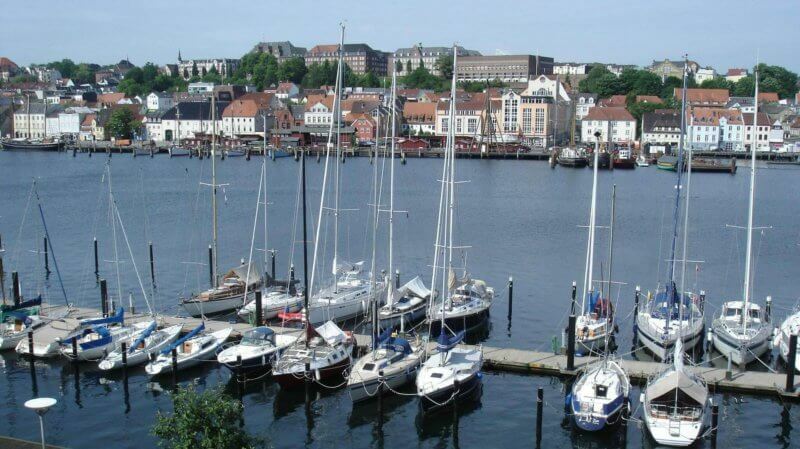 Flensburg is a place where you can have both peace and entertainment as here is always something happening around.